For people of all ages and creatives or non-tech people who want to create and control their digital footprint with professional guidance. Create a beautiful website for your business or project with personal guidance from an experienced digital leader. This workshop covers Squarespace setup and use, as well as SEO and integration with Google. Using a custom domain and email you will create a professional looking website and take it live by the end of the day. 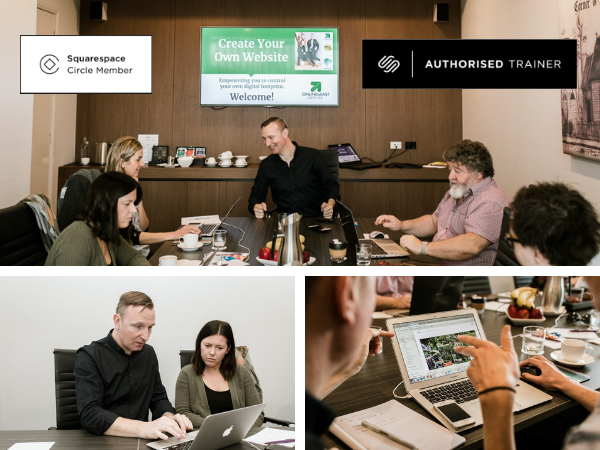 This course includes an online content creation workbook to complete prior to the workshop and one-to-one on-boarding for each participant before the day and personal follow up after the full day workshop. Tea/Coffee, Morning/Afternoon Tea and Lunch are included.